This group of female activist artists are awesome for a couple reasons. First of all they got their start protesting injustice, because in the MOMA in New York and many other important galleries there was little artwork from female artists and even less from artists of non-white race. They started their group to try and bring attention to this prejudice in the system of curators, collectors, etc. Secondly, the Guerrilla Girls are awesome because they express their protest with humor (which is fantastic). They brought to light these disappointing truths of the art world by creating posters containing facts about the injustice. However, I don't think that these girls fully upheld the entirety of their aim. While I believe there were a lot of posters addressing lack of female art, I haven't really seen any really focusing also on lack of art from other races. 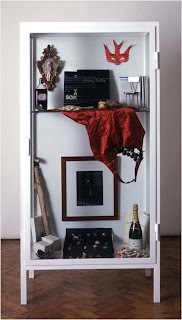 Now, I've done a post about Sophie Calle before, but I'll go over her again just because I did learn a little bit more about her through this class. Sophie Calle was a very lost person who traveled the world, but still had not found herself when she had returned to France. It wasn't until someone suggested that her work might be art that she started even playing with the idea that she even is an artist. In class we questioned whether that makes her previous works art if it wasn't intended to be, because much of what we deal with in this class is really trying to define what art is. I still don't honestly know the answer to this, but somehow I think its as much how we put our own intentions and ideas into the artwork as it is what the artist put into it. 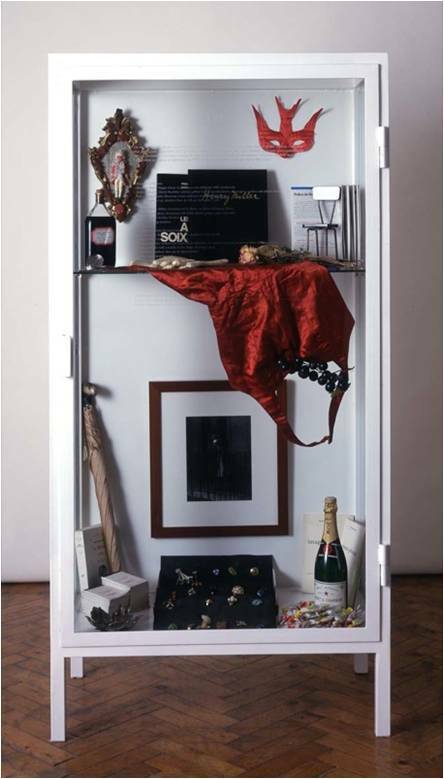 I think one of my favorites that we saw in class, that I hadn't seen before was "The Birthday Ceremony" in which she placed all of the birthday presents from each year in a glass display case. I think its just interesting to kind of put objects that have meaning on display in this way and how it kind of encases and exhibits the annual ritual. This female graphic artist does many works of community art. 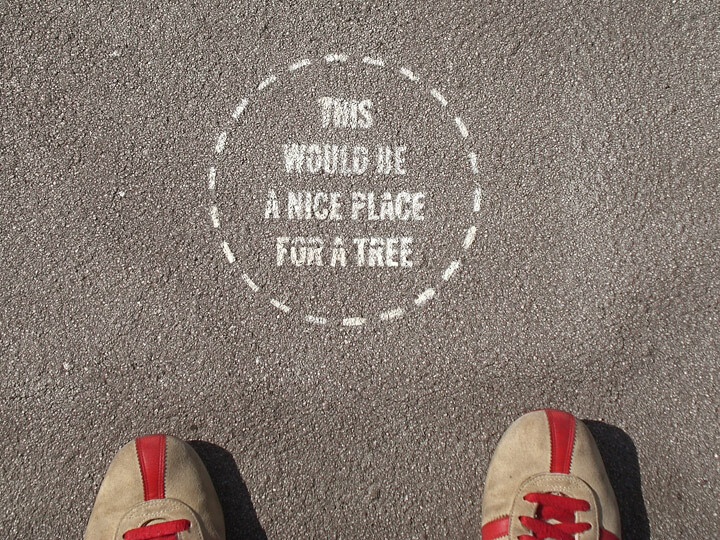 I really love her work "Before I Die" and also "A Nice Place for a Tree" (probably because I'm a tree-hugger). I think what is awesome is that her use of bold designs and placement within urban areas that really allow real community collaboration and communication to take place. I really enjoyed looking through her website, here. Okay, saved the best for last. I (as a poet) love Sarah Kay because she a poet, a spoken word poet. I know this might stretch the boundaries of what art is for some people. But its so much more than words. Its connecting to people on basic levels through experiences that start out just being your own, but that reach across into shared experience and connecting meaning and understanding. And I wish I could write more to explain what I mean but I'm honestly too tired of typing at this moment to continue. But I really connected to her and her explanation of her process of writing, which I think she explains really well in the video.